The iPhone 8 was recently revealed and it wowed many. Despite the fact that it lacks the OLED screen of the iPhone X, it’s still a very attractive and graceful device to look at that deserves to be kept safe from harm. 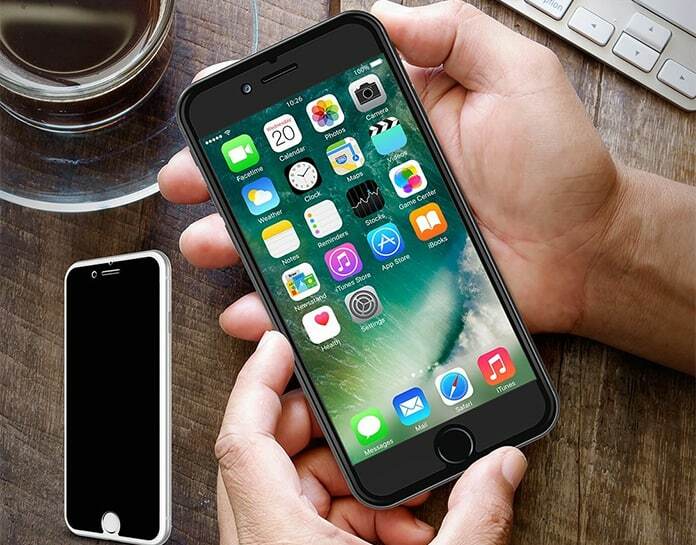 What better way to do this than tempered glass screen protectors for iPhone 8? It’s tough, durable and won’t shatter into small harmful shards that cannot only scratch the screen but also cause you harm. 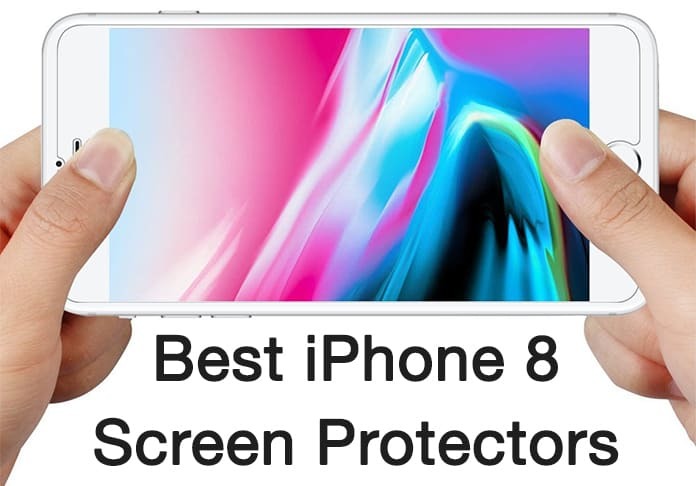 Below is our list of the best tempered glass screen protectors for iPhone 8 to protect it from scratches, drops, screen cracks and more. You can choose the best one and buy it online from Amazon. These protectors are a little costlier at $11 but you get two in a pack and have a special little feature to make up for that price. That feature is in the shape of a special layer of film that blocks nosy people from glancing at your phone’s screen from certain angles. While this comes at the cost of screen brightness not being as high as it could be, it prevents people from looking at what’s on your screen unless they are staring directly at it. You get a double pack for the same price of $7 and the same functionality as the amFilm such as the oleophobic coating. The corners are tapered and the package also includes a cleaning cloth for maintenance. 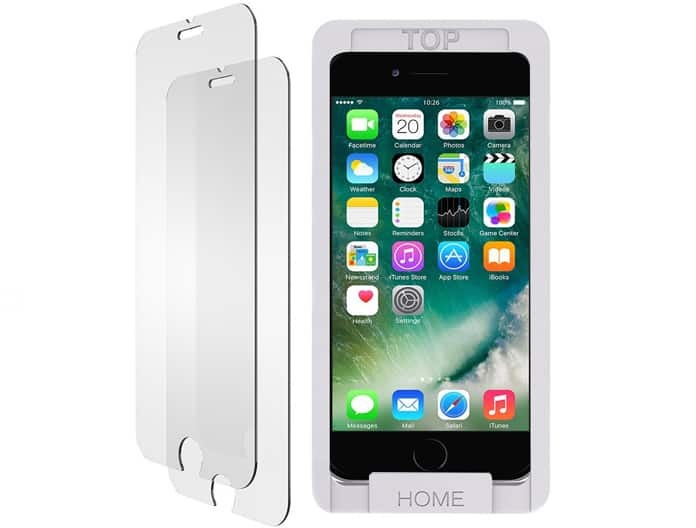 This makes it an attractive choice in tempered glass screen protectors for iPhone 8. In $13 you get protection from a brand that is well known for smartphone protection. 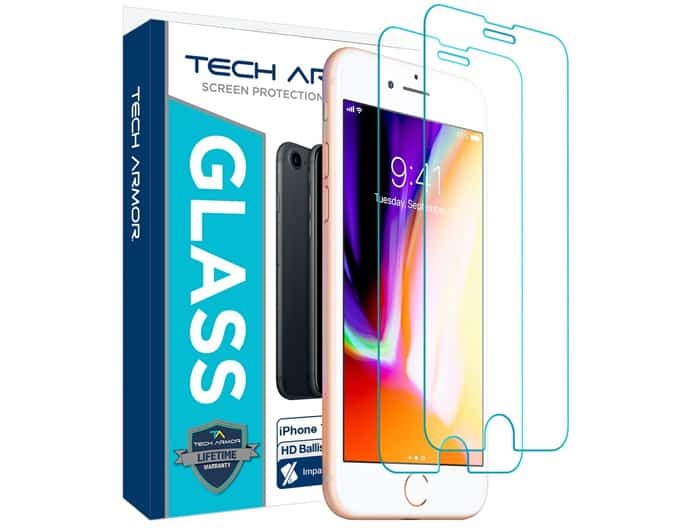 Quality is what defines this product as it is not only super thin but also very durable with a hardened layer of tempered glass that offers maximum quality for your Retina display. These glass protectors are in the Amazon’s best sellers, have and 27,000 reviews out of which a large majority are 5 stars. The most attractive feature is the reasonable pricing at $7 and the fact that it provides a snug fit to your device. To top it all of the oil resistant coating keeps fingerprints away and 0.3mm thickness makes it feel like it’s not even there. 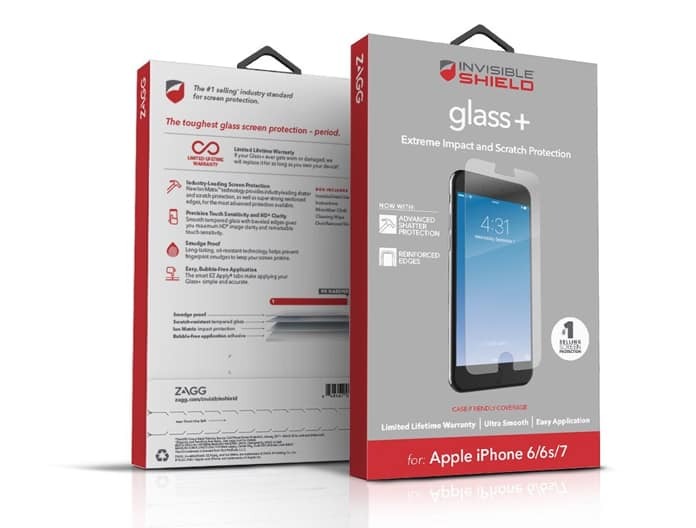 The InvisibleShield Glass+ iPhone 8 screen protector is scratch and fingerprint resistant according to ZAGG thanks to the Glass+ material. 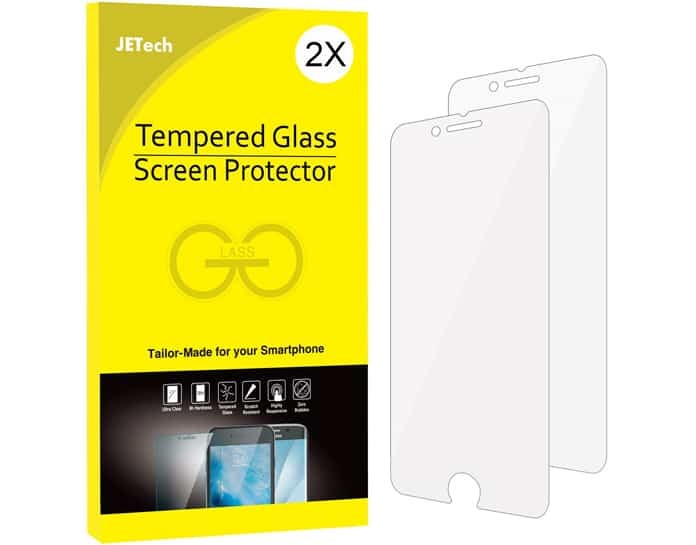 This tempered glass screen protector uses a unique adhesive to allow users apply without bubbles. 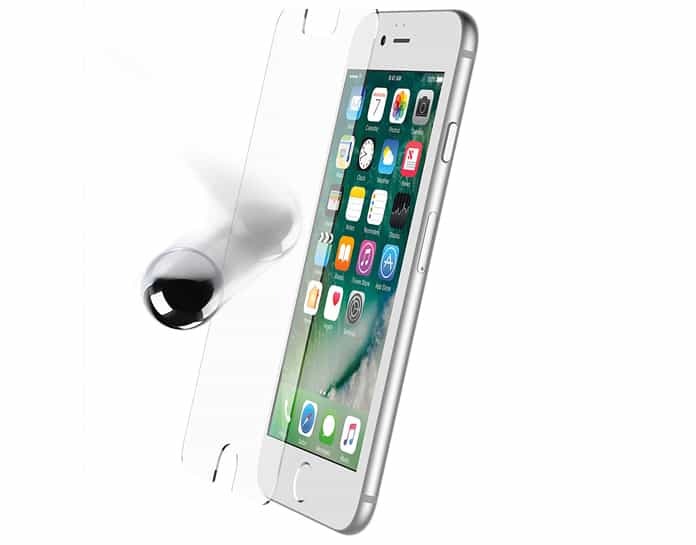 ZAGG offers two different iPhone 8 glass screen protector choices and they also promise that will replace your glass screen protector if it’s broken during the usage. This is quite costly at $24.99 from their home page and is a pack of two. The tempered glass has a 9H hardness which easily takes care of everyday wear and tears. To top it all of it also boasts an oleophobic layer like the other tempered glass screen protectors for iPhone 8. This protector comes in the price range of $7.99 from Amazon and is overall a great buy. 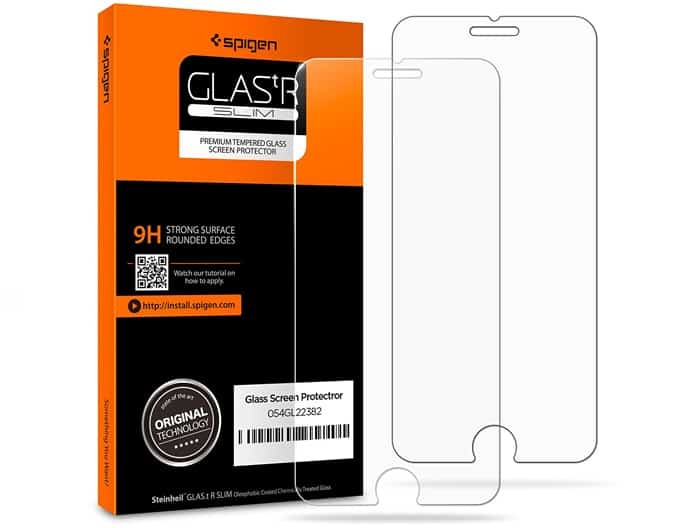 Along with all the standard properties of having 9H hardness, being shatter and chip proof this fiber glass protector also boasts a 0.2mm thickness which is quite thin. It offers protection while being so thin it’s hard to feel it’s still there. At the great price of $6, you get a great screen protector that does its job well. 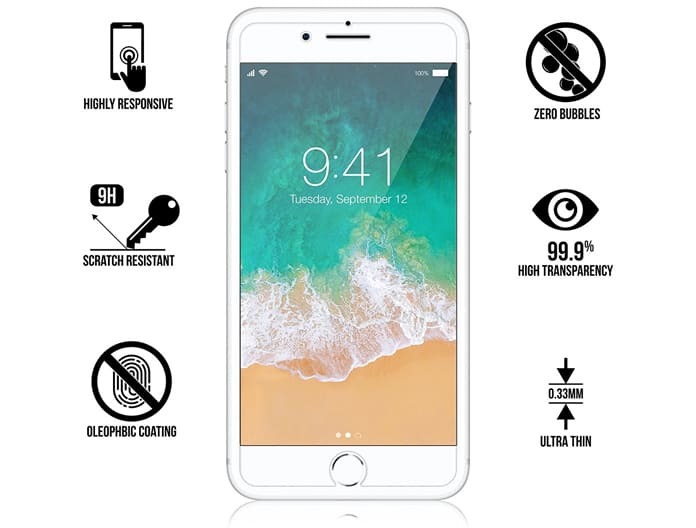 While it may only cover the flat areas of the iPhone 8 screen, the multilayer construction of the HD clear will keep your device very safe from harm. These features allow it to stand out amongst screen protectors for iPhone 8.